One of the annual highlights in the Rockwatch Event Calendar is its 4-night residential trip to Dorset and East Devon’s Jurassic Coast World Heritage Site. Now in its 16th year, the annual residential trip is often a regular booking for many of our Rockwatch families. It’s a great opportunity to spend time with fellow enthusiasts of all ages. Every year families join the Rockwatch Team and other local experts to explore different geological sites and nurture their passion and understanding of key geological themes. Previous trips have taken Rockwatchers to Branscombe, Purbeck and Swanage beaches to study coastal Erosion, or to Worbarrow Bay, Osmington and Lulworth Cove to study Fossils in the Service of Science. 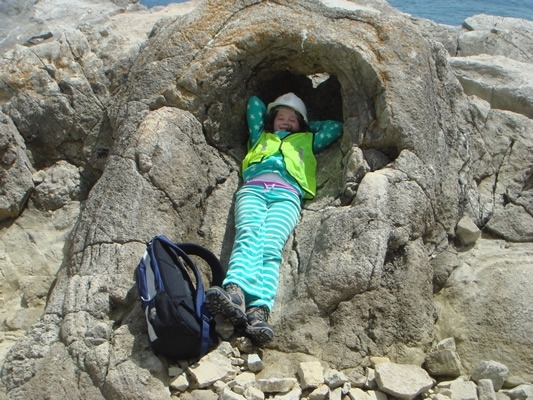 This August promises to deliver fieldtrips galore to nearby quarries and the Jurassic Coast. We’ll be going to places like Chesil Beach and the Isle of Purbeck to look at the geology, check for dinosaur footprints in Portland and hunt for fossils in the Kimmeridge Clay – all unforgettable experiences! 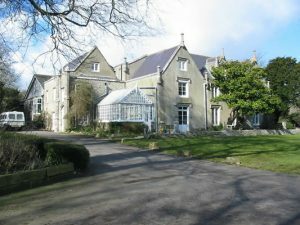 Rockwatchers will have a fabulous 4 night stay at the Leeson House Field Studies Centre near Swanage, Dorset. Leeson House is the ideal venue for our stay and is specially set up to accommodate fieldtrips. It boasts a secluded and comfortable residential centre close to many classic geography, geology and biology fieldwork sites and is set within 7 acres of inspiring and diverse grounds. First Year of Rockwatch Membership for FREE! Looking for a new experience this summer holiday? Fancy a holiday with a difference? Then why not join us on our annual Rockwatch fieldtrip to immerse yourself in the wonderful world of geology! To inspire you to come, we’re offering – for a limited time only – a chance to receive your first year of Rockwatch membership absolutely FREE of charge! Check out the benefits of being a Rockwatch member to see what other delights you have in store if you book. Simply add the promotion code: NewMemberDorset to your booking form to qualify. You must be a Rockwatch member to book to join us on any fieldtrip. Simply complete the registration form to secure a place. Places are limited so book now to avoid disappointment! All of the field trips and activities are great fun and Susan is very nice and interesting! It is really great fun and I love collecting fossils and learning about dinosaurs. I love fossil hunting and the events give you access to places normally closed for the public. We love Rockwatch ... All their events and field trips, especially the Swanage residential, are fantastic fun, enjoyable and educational. My favourites have been- going behind the scenes at the Natural History Museum and the British Geological Survey.